A newspaper is “fake news” when it knowingly misleads its readers. 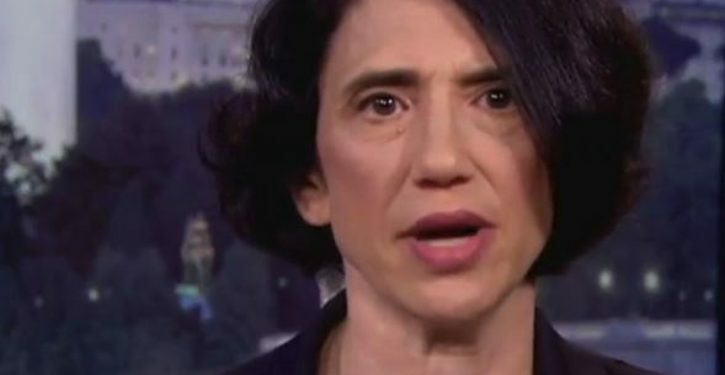 A classic example is the Washington Post declaring the rabidly left-wing writer Jennifer Rubin to be conservative. 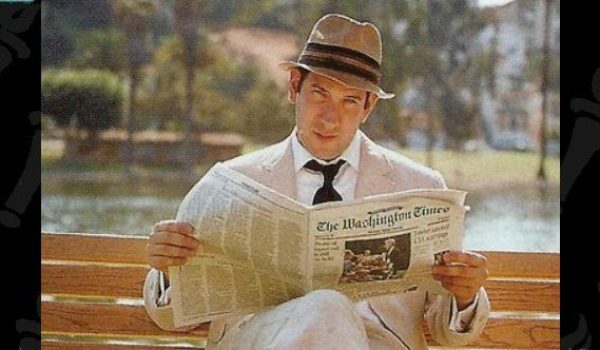 Rubin writes the Post’s misleadingly named “Right Turn” column and blog. They are so named because they are supposedly written from a right-leaning rather than left-leaning perspective. Yet Rubin supports all manner of progressive or left-wing causes — such as backing massive increases in government spending and likening critics of the Supreme Court’s abortion decisions to Nazi collaborators. The Post falsely characterizes Rubin as conservative in order to stigmatize actual conservative views as beyond the pale. Its strategy is to depict Rubin’s left-leaning stances as those of a “mainstream” conservative, in order to make any actual conservative who disagrees with Rubin look like an extreme, far-right ultraconservative by comparison. The Constitution does not mention abortion or any right to have one. 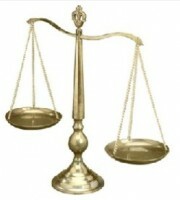 But the Supreme Court’s abortion decisions effectively create a right to abortion even in the late stages of pregnancy, if the abortion provider says an abortion would promote the “emotional or psychological well-being” of the woman seeking the late-term abortion (the so-called “health-of-the-mother” exception recognized in Doe v. Bolton (1973)). Even pro-abortion liberal legal scholars such as Harvard’s John Hart Ely questioned the legal basis of these decisions at the time. But Jennifer Rubin is to the left of these liberals. 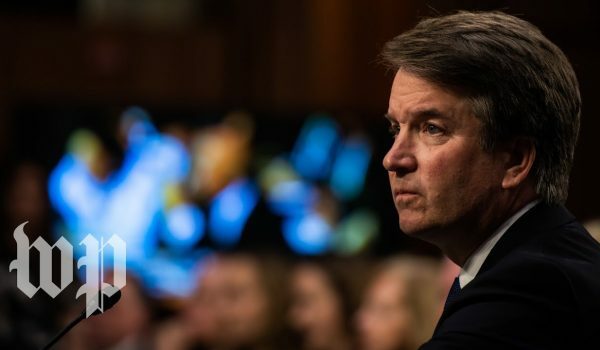 She recently expressed rage about the possibility that the Supreme Court may revisit its controversial abortion decisions if the Senate confirms President Trump’s nominee to the Supreme Court, Brett Kavanaugh. In 2016, Trump said that the decision about whether to regulate abortion should be left to state legislatures, not the federal government or the federal judiciary. When a massive hurricane descended on Puerto Rico, causing up to 3,000 deaths directly or indirectly, Rubin falsely claimed Trump killed the victims “twice.” He didn’t kill any of the victims — some were killed by winds or flooding associated with the storm, which Trump obviously had no control over, and others died well after the storm due to increased mortality from Puerto Rico’s bad infrastructure, such as an electrical grid that had suffered from decades of neglect, or blocked roads that made it hard for seniors to get to a pharmacy. Trump had only been in office for less than a year when the hurricane struck Puerto Rico, and while Trump was imprudent to downplay the number of people who died, he had nothing to do with their deaths — indeed, under his administration the federal government mounted a massive multi-billion dollar relief effort to help Puerto Rico. Relief efforts were made much more challenging by the fact that Puerto Rico is a remote island not adjacent to, or connected by road with, the rest of the United States. And, as NPR noted, Puerto Rico’s weak infrastructure (which Trump had nothing to do with) created big challenges for relief efforts. Today on Joy Reid’s MSNBC show, AM Joy, commenting on President Trump’s disputing of the Puerto Rico death toll, “center-right” Rubin said: “Donald Trump has killed those people twice. Rubin is not center-right at all. She focuses on bashing both moderate and conservative Republicans, such as calling House Speaker Paul Ryan a “disgraced toady.” She has attacked Donald Trump for doing conservative things and also bashes never-trump Republicans such as John Kasich and mainstream GOP figures like Ed Gillespie. She opposes repealing Obamacare and DACA, denounced GOP proposals to cut welfare spending, and celebrated the passage of a Congressional spending deal that increased the budget deficit to over $1 trillion. Rubin supported liberal John Kerry for President in 2004, was a pro-labor liberal in California, but then wrote conservative articles for a few publications in Washington, D.C., just long enough to later masquerade as a conservative for the Washington Post. In June 2017, she attacked Attorney General Jeff Sessions for ending the corrupt Obama-era practice of funneling money from federal settlements to politically-connected left-wing groups. Rubin denounces Republicans and evangelicals, “claiming that Republicans and evangelicals think they’re victims and remain unmoved by real discrimination.” In 2016, she praised people like former State Department official James Glassman for endorsing Hillary Clinton for president, calling him “Distinguished Pol of the Week” for doing so. On November 8, 2016, she called on people to “root for” Hillary Clinton’s success as the “most likely” President. On September 9, she ridiculously claimed that Clinton was a “victim” of former Secretary of State Colin Powell because he did not come to her defense during her email scandal. In 2017, she called the Trump administration’s budget “monstrous” because of its spending cuts. She has trashed senators who have sought to repeal Obamacare, or even sought to make it less burdensome or costly. On July 18, 2017, she wrote that “it would be cruel and unwise to pull the plug on the Affordable Care Act.” Later, she attacked Senator Bill Cassidy (R-La. ), who proposed legislation to soften Obamacare and return some decisionmaking about healthcare to the local level, for supposedly violating the “Jimmy Kimmel” test. (Kimmel is a liberal entertainer). On August 2, 2017, she attacked moderate Republican Senator Dean Heller of Nevada for voting for a “‘skinny’ repeal” of Obamacare, considering even that partial repeal of Obamacare too much to bear. Thus, the Washington Post’s description of Rubin as a “conservative” was false advertising as is her claim to have a “conservative perspective.” Indeed, the very title of her blog (“Right Turn”) is misleading. Yet her opinions have been distributed around the country in newspapers such as the Richmond Times-Dispatch and the Schenectady Daily Gazette, with the following deeply misleading legend: “Jennifer Rubin writes the Right Turn blog for The Post, offering reported opinion from a conservative perspective.” And when she appears on MSNBC, she has been falsely introduced as a “Washington Post conservative columnist.” That description is fraudulent, in light of her hostility to conservatives and conservative views. Jerome Woehrle is a retired attorney and author, who writes about politics.